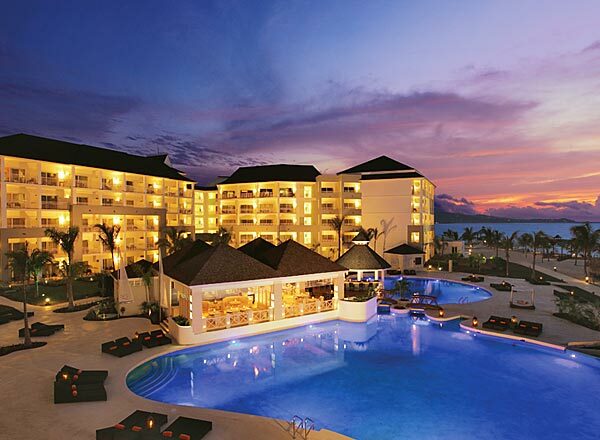 Secrets Wild Orchid is located in Montego Bay, Jamaica. The design is inspired by Ethiopia, which is Jamaica’s African ancestors. The resort landscaping takes inspiration from the island’s gorgeous surroundings. This 18+ adults only resort is a vibrant, hip locale with the exclusive amenities of Unlimited-Luxury. The rooms have one King or two queen beds. All luxuries and amenities come standard. Guests can choose from a room with a balcony, whirlpool with oceanfront views or one with a swim out pool. The resort is located on a gorgeous beach, and there’s also a pool if you enjoy more mellow swims. The culinary experience will take your breath away with eight gourmet restaurants. The Oceana is the Ocean-view restaurant open for breakfast, lunch and dinner. The Portofino is the elegant Trattoria-style Italian restaurant with a beautiful wine cellar. For those who wish to dine on Pan-Asian cuisine, there is the Himitsu. Guests can also experience Jamaican Caribbean cuisine at Blue Mountain, Mexican dining at El Patio, fine French cuisine at Bordeaux, or indulge in a buffet style experience at the World Café. You will never get thirsty with nine bars serving top shelf liquor and non-alcoholic beverages. Enjoy plenty of activities from yoga to scuba (introductory lesson in swimming pool). You can try championship-caliber golf nearby (for an additional charge). If you’d love to be pampered, experience the world class spa. They also have a full gym for a total workout. In the evenings, partake in a variety of things to enjoy like the Desires Music Lounge, the piano bar or take in a live show at the theater.